Kenny Chesney&apos;s famous lyrics "The sun and the sand and a drink in my hand with no bottom" are sure to resonate with beach vacationers everywhere. Here&apos;s how to get that boozy beach buzz while vacationing in Pensacola. Located just a few blocks from the Pensacola Bay on E Gregory Street, at McGuire’s Irish Pub you can enjoy more than just great steaks and live music. McGuire’s is known for its New York Irish Saloon themed restaurant that includes a craft brewery, but their most popular drink served is the Irish Wake. A potent mix of various rums, blue curacao, and orange juice- this bright green drink will have your vision Dublin! Talk about a drink with a story! 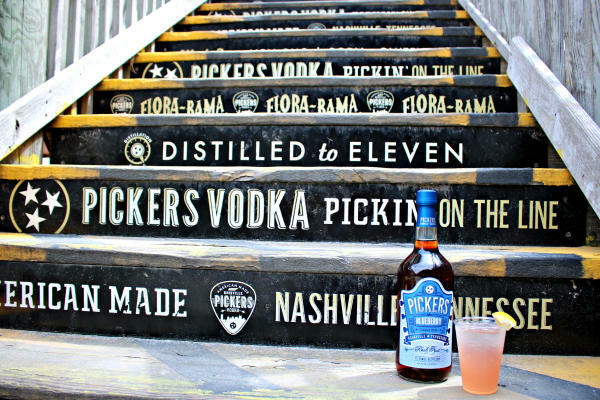 Jeff and Jenny Pennington, owners of Pickers Vodka, were vacationing in the Pensacola Bay Area from Nashville. The two met by chance at the Flora-Bama, fell in love and later got engaged at the same place! After continuing to vacation in Perdido Key for years, the two approached their favorite watering hole about carrying their signature vodka. The vodka brand is the official well of the Flora-Bama, in addition, they all carry their three flavors – blueberry, pineapple and blood orange, all of which are made with real fruit. I love this drink because it is quick, easy and refreshing! Buy that pre-packaged lemonade for once, we encourage it! Made with a blend of island rums and fruit juices, this cocktail is served a plastic bucket that is yours to keep. Stop by Crabs We Got Em’ on Pensacola Beach to enjoy a spectacular view of Casino Beach and delicious cocktail, that includes a free souvenir to remember your trip! No plastic cups needed to enjoy this cocktail. Served in a fresh pineapple, the Poolside Tiki Bar at the Margaritaville Beach Hotel features several variations of this fruity drink you can enjoy in their outdoor pool area which includes lounge chairs and a Tiki Bar with food and a full bar. Get your cameras and your Instagram’s ready. Have a favorite boozy cocktail we forgot to mention? Tell us below!